Titmouse is an animation juggernaut – that’s a simple fact. If you’ve seen a cartoon in the last few years personified by wild energy, boundless creativity, and an irreverent, off-kilter tone, then there’s a strong chance that Titmouse’s imaginative animators had a hand in it. Founded by president Chris Prynoski and his wife, vice president Shannon Prynoski, Titmouse has pumped out some of the most memorable and hilarious shows on TV: from Adult Swim’s Metalocalypse and The Venture Brothers to Comedy Central’s Moonbeam City and Disney XD’s Motorcity. The studio has recently earned a Daytime Emmy Award for Outstanding Children’s Animated Program for Niko and the Sword of Light, an animated comic book for Amazon. And while its creativity has grown in leaps and bounds over the last 15 years, Titmouse’s real estate has developed too – the company now spans three studios in animation hotspots Los Angeles, New York City and Vancouver. Across these three studios – and with the help of a raft of global freelancers – Titmouse exhibits an almost endless capacity for creativity, often juggling several in-house and commissioned projects at once. Ensuring a level of consistent innovation and quality is a challenge, but with cineSync, the studio can ensure each and every shot has as much trademark Titmouse dynamism as the last. An important tenet of Titmouse’s set-up is promoting a close-knit culture within – and indeed across – each of its studios. Early on, when Titmouse was based solely in Los Angeles, watching dailies was part of the everyday schedule – the entire staff would pile into the conference room to check out the latest footage, compare notes, and discuss techniques. And even today, with Titmouse growing on a global scale, this practice remains in place. Titmouse ensures these processes remain in place despite vast differences in geographical location via cineSync – a solution it adopted six years ago following the opening of its New York office. Whether it’s for television work, feature film, or the tons of other projects Titmouse keeps busy with, the studio relies on cineSync to ensure its separate teams continue to act as one. “For TV animation, cineSync is a must,” says Kalina. “It’s easy for studios to get stuck in the traditional process of waiting until animation is complete and review everything at once. With cineSync, we can work with remote teams and easily track the footage scene by scene, and collaborate throughout the process. cineSync has done more than just streamline reviews at Titmouse – it’s also enabled the team to tap into an international talent pool, essentially growing the team while simultaneously pulling the artists closer together. For instance, while producing Niko and the Sword of Light, Titmouse brought several European artists onto the project, and communicated with them daily via cineSync. This functionality has helped strengthen other in-house processes too. Titmouse creative director Antonio Canobbio also uses cineSync to remotely train teams from Los Angeles, with a composite team in New York City and a background team in Vancouver receiving live instruction without the cost and hassle of travel. And from the employees to the clients, Titmouse has found cineSync useful as a pitching tool, showcasing its ideas from screen-to-screen when in-person pitches just aren’t feasible. 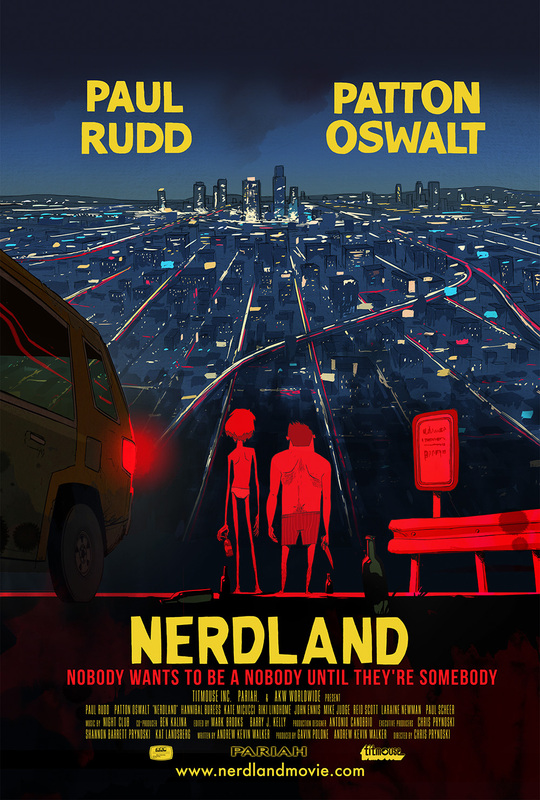 Alongside many short films, commercials, video game cinematics – and quite a lot else – Titmouse also recently launched into its very first independent feature film: Nerdland. Directed by Chris Prynoski, Nerdland is an adult animated satire about Hollywood and the depraved lengths some will go to attain celebrity. It features some top-tier talent too, with Andrew Kevin Walker of Seven fame on writing duties, and voice work by Paul Rudd and Patton Oswalt. 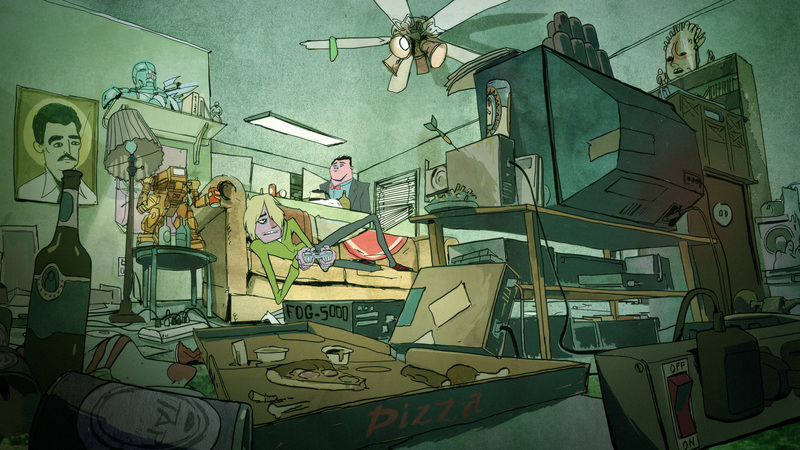 Nerdland commenced as an independent in-house project, worked on in between TV commitments, in a piece-by-piece fashion. cineSync was used by the Los Angeles team and the freelance artists elsewhere to keep the project on point. It came in particularly helpful for Prynoski, who was often traveling on Titmouse business. Beyond a theatrical release of Nerdland, Titmouse is working on a full season of Niko and the Sword of Light, as well as Son of Zorn, a live-action/animated hybrid for Fox. 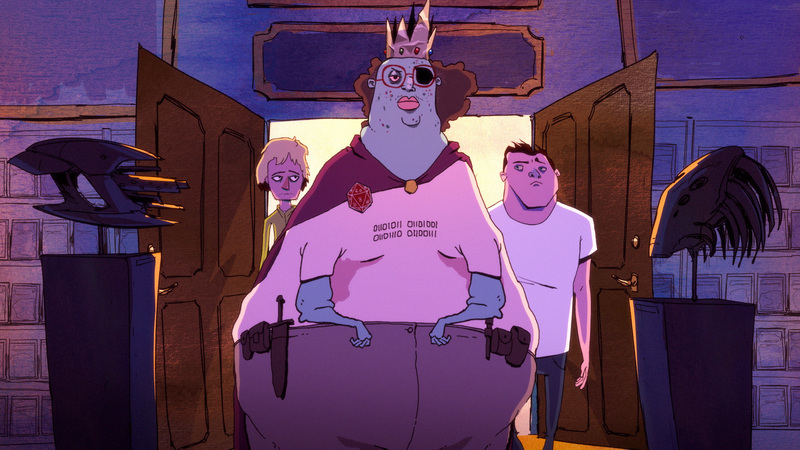 The imaginatively titled Brad Neely’s Harg Nallin Sclopio Peepio will also air on Adult Swim this summer, keeping Titmouse more than busy alongside many of the smaller projects it has on the go. However you frame it, Titmouse is one prolific studio, using any ounce of free time mustered to add yet another vibrant, zany project to its portfolio. Thanks to cineSync, it can do this without losing any of the community feel its artists had when sat together in that single LA conference room, wherever the artists artists may be located.